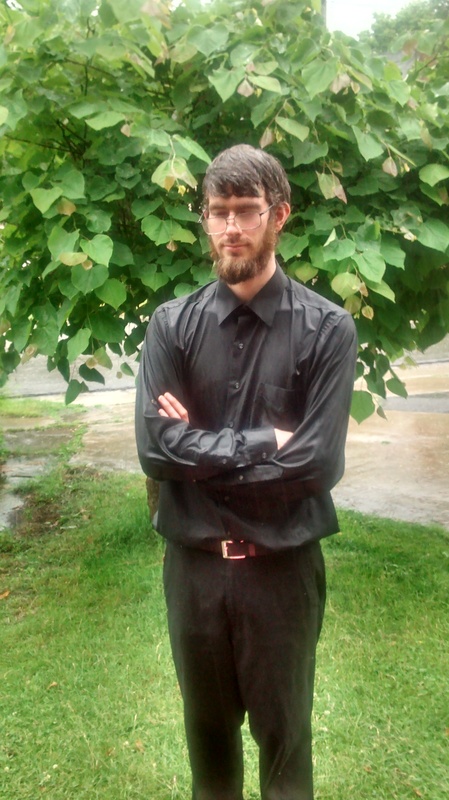 You are probably wondering why this post begins with an image of a dashing, ruggedly handsome man standing in the rain. Probably something you’ve seen before. Not really a big deal. Well, actually, to me it is a big deal. I hate the rain. hate it. I hate how its wet, and cold, and splashy. I hate the way wet clothes stick to me. It is uncomfortable. I avoid it at all costs. That is, I used to, until I learned something about discomfort. I had been trying to practice acceptance and mindfulness in seemingly difficult and frustrating situations, so naturally the next time I was out in a storm, I gave it a shot. When walking out into the rain, I usually think, “I hate rain, I don’t want to get wet,” This time, I told myself instead, “It is okay to get wet. It is okay to get cold. You will soon be dry again.” I paid close attention to what the rain felt like, and really experienced it. To my bewilderment, It wasn’t that bad. It was actually quite enjoyable. All this time spent running from the rain, and hiding under umbrellas, it wasn’t actually the rain that was making me uncomfortable. It wasn’t the wet, and it wasn’t the cold. The discomfort I was experiencing was caused by the ideas I had about rain. By things that I had been told as a child, (“We can’t go outside and play now, its raining. You don’t want to get all wet, do you?”) and by the way I had reinforced these ideas as an adult. Now I love the rain, and while this is not a life altering change in itself, it has changed the way I look at difficult situations. Now I am wondering, could I solve my more serious problems in the same way? Could I simply “think away” all of my discomforts? Well, I will let you know how that works. But in the mean time, I will be happy to have overcome this small mental hurdle. This morning was terrible. I woke up1 and walked2 downstairs3. I was extremely tired, as my four kids4 are constantly interrupting my sleep5 schedule. I went to the sink, and started washing6 all the dishes that were left from dinner7 last night. It was then that I heard8 a noise coming from the refrigerator. Click click…Click click. With a little trouble shooting, I discovered that the refrigerator was turning itself on9 and off, and was failing to keep our food10 cold/frozen. It just so happened that about a month ago, my brother-in-law lost his house. He was moving into an apartment, and needed a place to store his refrigerator11. We offered that he could keep it in our back room12, and we would use it for a little extra cold storage. I spent the next half hour moving all of the food13 out of the broken machine, and into the one that was functioning properly. Late for work14,15, I ran out the door, and locked it behind me. At the same moment, I realized I left my phone16 and keys17 inside. I managed to break in without waking everyone up, and I was on my way. As I said, My morning was terrible, and I hope the rest of the day doesn’t turn out the same. I have it pretty rough. I have legs, and good health! I can run, walk, dance, skip, and jump! I live in a house! I am not out on the street, and my house even has multiple levels! I have four kids! How amazing is that? Four small people to watch as they grow and learn. I sleep in a bed, by the way, safe from the elements, grizzly bears, cougars, venomous snakes, and the like. I ate dinner last night! not everyone can say that. I have ears! and I can experience a vast array of auditory pleasures. I have an abundance of food! probably enough to last my family and me a month if rationed carefully. How convenient is that? A back-up refrigerator? I have a job, where I get to help people, and the work is not terribly difficult. I am able to leave for work, and know that my children are in the capable hands of my lovely wife! It is amazing how easy it is to find things to complain about. Problems. I can’t believe that these are the kinds of things that leave me frustrated. Most of my problems really aren’t that severe, and I have much to be thankful for.